The New York Independent System Operator Inc. on Jan. 22 released a five-year plan that outlines a path forward to tackle the changing grid dynamics and support the growing role of public policy initiatives in reshaping the grid. The 2019-2023 plan identifies strategic initiatives to guide the development of projects and resource allocations as evolving regulations and policy goals accelerate the shift to lower-emitting resources. Among the key initiatives, the grid operator will focus on market enhancements to incent resource flexibility required to manage a more dynamic grid resulting from increasing levels of renewables and distributed resources in response to the policy initiatives. The state has a goal of obtaining half its electricity from renewable resources by 2030 under the Clean Energy Standard, which Democratic Governor Andrew Cuomo proposed to ramp up to 70 percent as part of an initiative to achieve carbon neutrality by 2040. 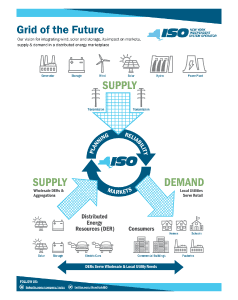 NYISO said that technology advancements, coupled with public policies, are supporting greater adoption of distributed resources and storage, which have the potential to strengthen the power grid by making resources more responsive to price signals and system needs. The grid operator said that the emerging trends will require changes to its market structure and grid software. To this end, the plan supports continued development of technology and infrastructure to ensure that NYISO’s information architecture meets business objectives.To address the growing cyber threat, the grid operator said it is expanding its already-robust cybersecurity operations center to manage ongoing and evolving risk scenarios.